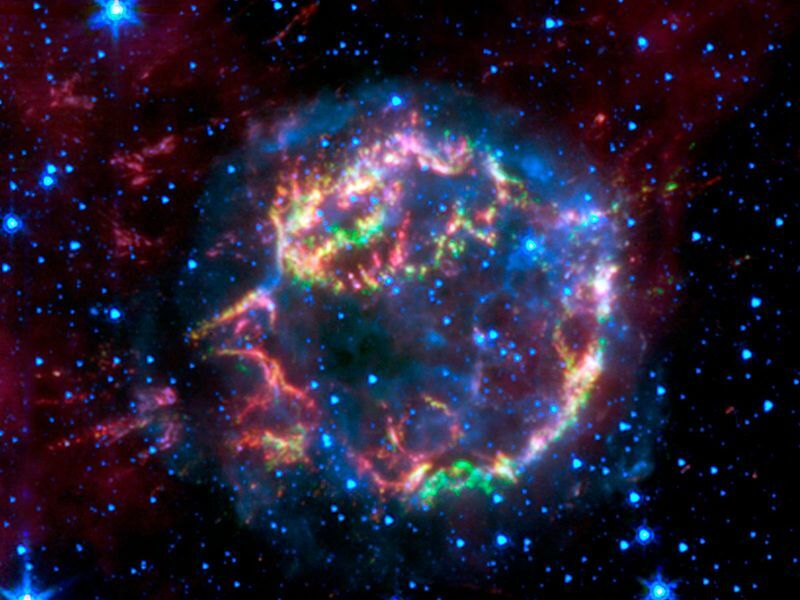 This image from NASA's Spitzer Space Telescope shows the scattered remains of an exploded star named Cassiopeia A. Spitzer's infrared detectors "picked" through these remains and found that much of the star's original layering had been preserved. 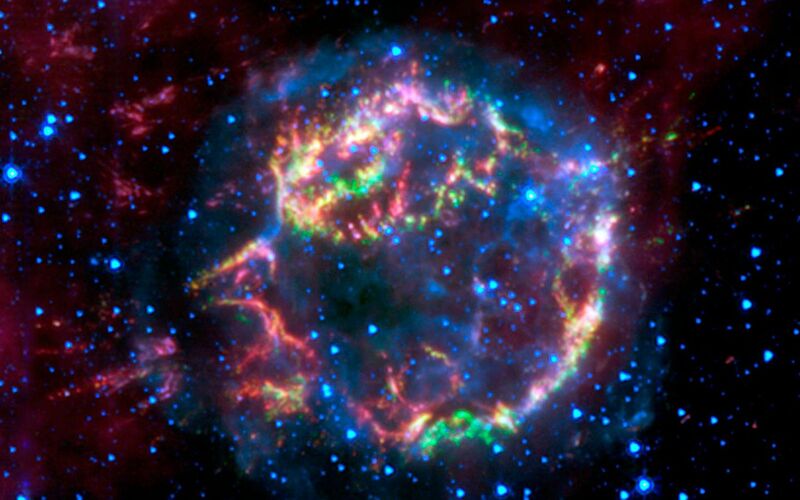 In this false-color image, the faint, blue glow surrounding the dead star is material that was energized by a shock wave, called the forward shock, which was created when the star blew up. The forward shock is now located at the outer edge of the blue glow. Stars are also seen in blue. 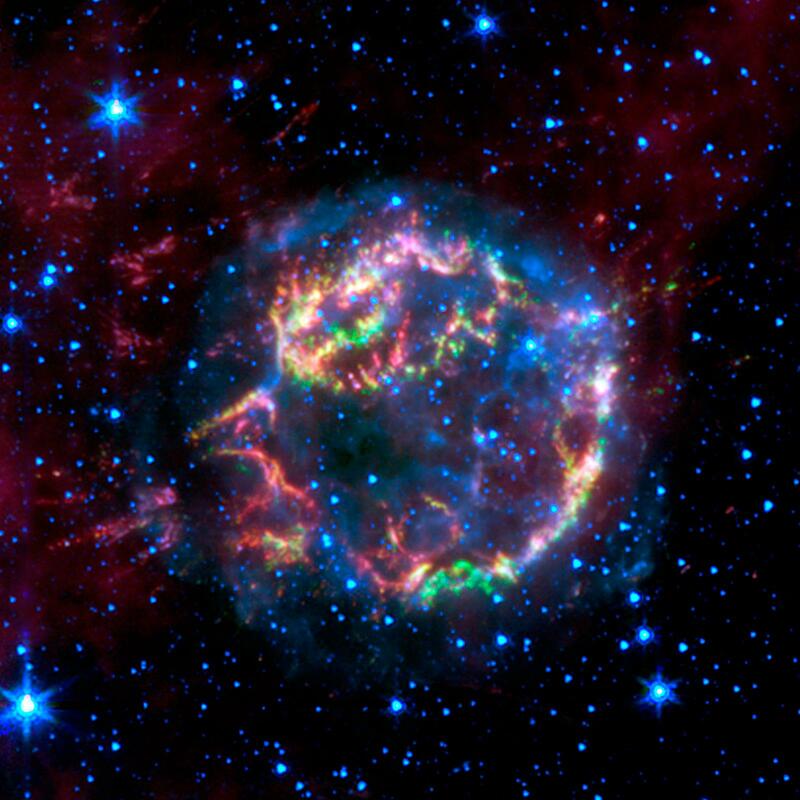 Green, yellow and red primarily represent material that was ejected in the explosion and heated by a slower shock wave, called the reverse shock wave. 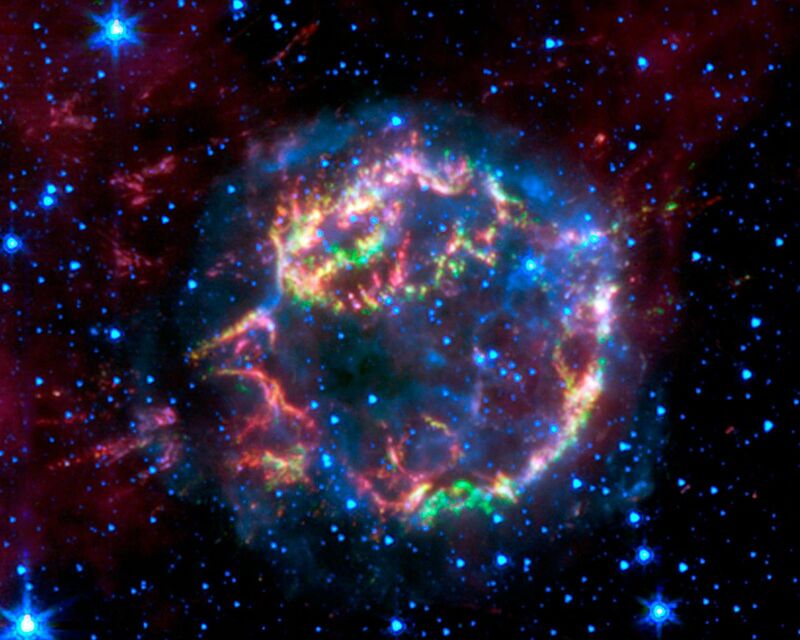 The picture was taken by Spitzer's infrared array camera and is a composite of 3.6-micron light (blue); 4.5-micron light (green); and 8.0-micron light (red).